Fall Leaf Placecards, by Bethany Lowe. 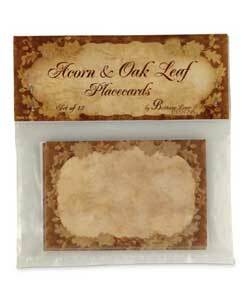 Pack of 12 paper placecards, decorated with autumn leaves. Measures 2 x 3 inches. 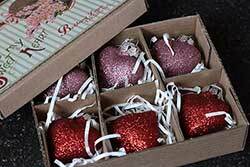 Beautiful glass heart ornaments covered in pink and red superfine glitter, perfect for that little special accent, or hanging on your feather tree! Glittered Shamrocks In Bag, by Bethany Lowe. 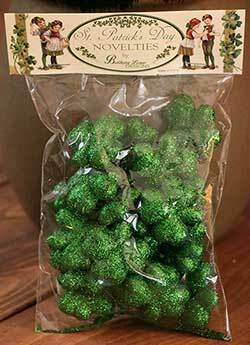 Bag of 20 small glittered shamrocks. 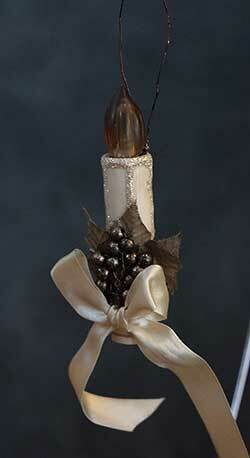 Fill a bowl, a 2-part glass cylinder, or scatter on a table. Measures 1.5 inches each. Made of foam and glitter. Glittered Spider, by Bethany Lowe. 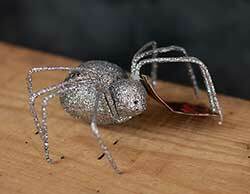 This spooky spider has posable legs, and is covered in superfine glitter, perfect for your Halloween vignettes! This is for the Silver spider. Halloween Children BB Game, by Bethany Lowe. 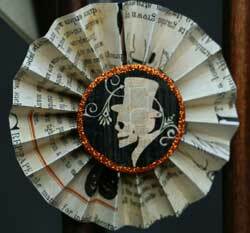 Metal with BBs and ribbon. 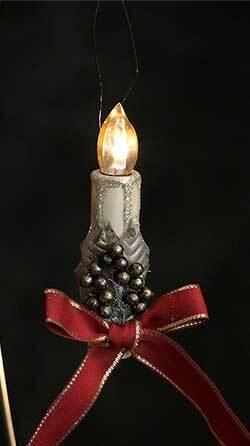 Hang as an ornament, or play the game! Sold individually from the two in photo - Choose the Left or Right Game. Measures 6 x 3.25 inches. Harlequin Boy & Spring Friend, by Bethany Lowe. An authorized reproduction of a Bethany Lowe design. Measures 6 x 7 inches. 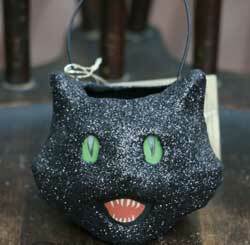 Made of resin and glitter. 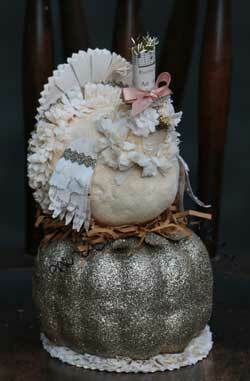 Harvest Turkey On Pumpkin, a Lesa Dailey design for Bethany Lowe. 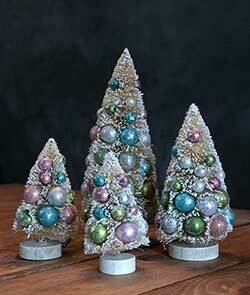 Flocked, pressed paper, crepe, glitter, ribbon and tinsel. Measures 7 x 3.75 inches. 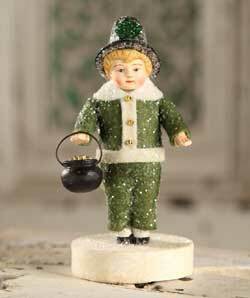 Pot O Gold Boy, by Bethany Lowe. 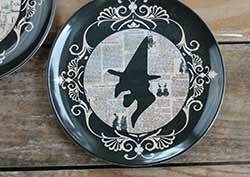 By Maggie’s Memories for Bethany Lowe Designs. Paper pulp, batting and glitter. Measures 5.5 x 2.5 x 2.5 inches. Measures 3.5 x 72 inches (6 feet long end to end). 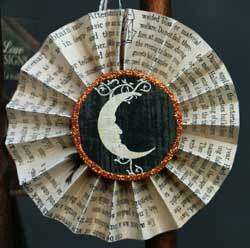 Made of pressed paper with vintage images, tinsel and glitter. 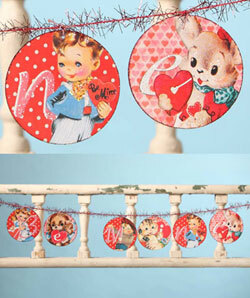 Retro Valentine Disc Ornament, by Bethany Lowe. Measures 2.5 inches. 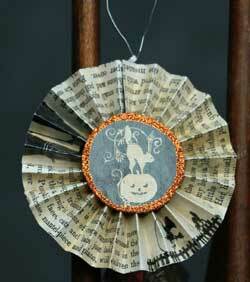 Pressed paper, tinsel and glitter. Sold individually - Choose the Bunny, Boy/Girl, Puppy with Basket, Winking Child, Cowboy, Girl with Heart, Puppy with Heart, or Kitten with Heart Ornament. Photo courtesy of Bethany Lowe. Terra Cotta Carrot, by Bethany Lowe. Faux carrot made of terra cotta painted to look realistic! Velvet leaves, and thread root ends. 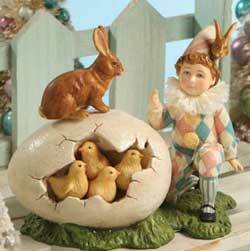 Perfect with bunnies in particular! 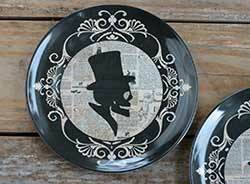 Sold individually (two slightly different sizes). Smaller is about 6 inches long, plus the root, and Larger is about 7 inches plus the root. 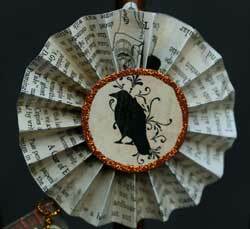 Traditional Bell Ornament, by Bethany Lowe. 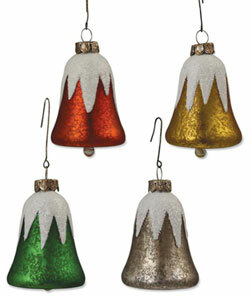 Mercury-like glass bell ornament, sold individually from four color choices - Choose the red, green, gold, or silver Ornament. Measures 2.25 x 1.5 inches. Glass with glitter. 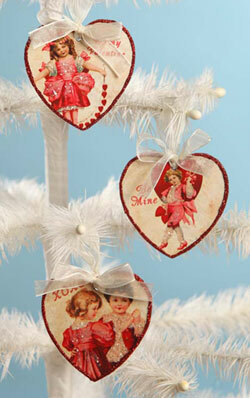 Valentine Children Heart Ornament, by Bethany Lowe. Measures 3.5 inches. 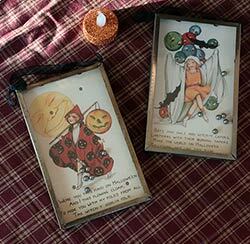 Vintage images on pressed paper with glitter and ribbon. 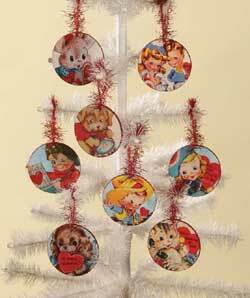 Sold individually - Choose (top to bottom) the Girl, Boy, or Boy/Girl Couple Ornament. Valentine Sparkle Cake Toppers, by Bethany Lowe. 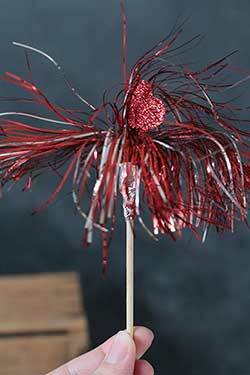 Accent a cake or cupcake with these darling red and silver tinsel picks! 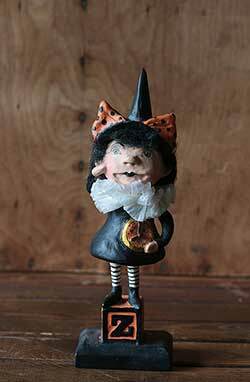 Zelda Witch, a Debra Schoch design for Bethany Lowe.